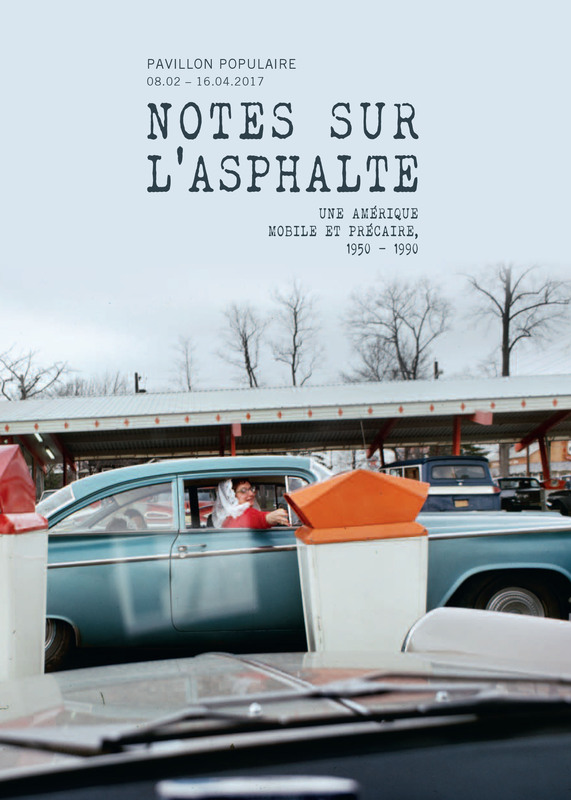 The CED Visual Resources Center is very proud to have contributed many images from our collections to a new exhibit, Notes sur l'asphalte : Esquisse d'une Amérique mobile et précaire, that opened in Montpellier, France, on February 7th. 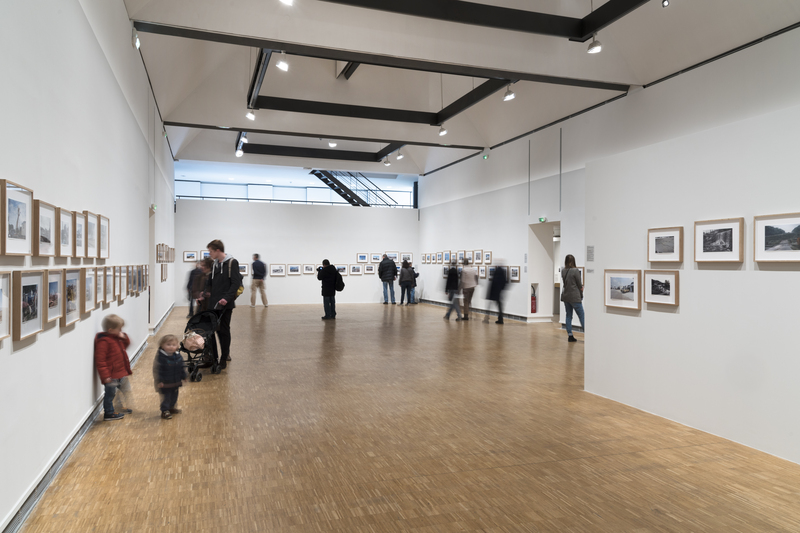 Curated by Historian Jordi Ballesta and Photographer and Master Printer Camille Fallet, the show presented photographs by many scholars well known to Berkeley – many of them taught in the College of Environmental Design and are revered for their work, in front of and behind the camera. 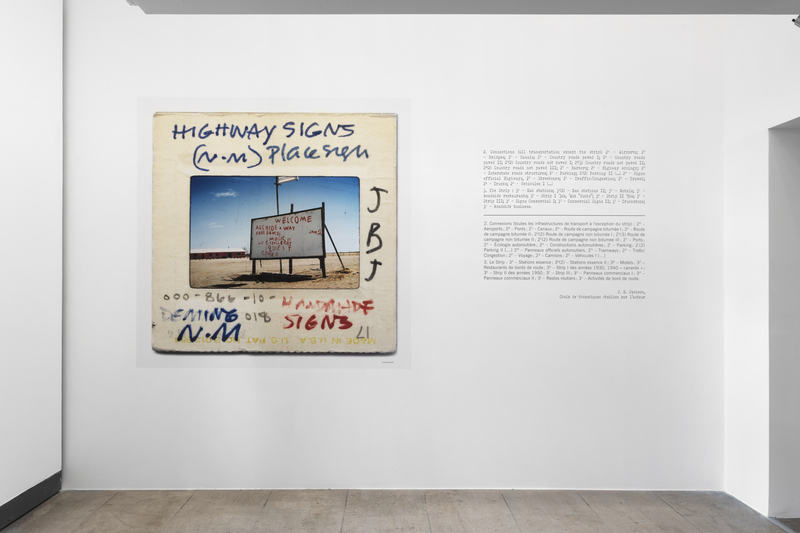 The exhibit included works by former Berkeley teachers John Brinckerhoff Jackson, David Lowenthal, Donald Appelyard, Richard Longstreth, and Alan Jacobs, as well as scholars and photographers including Chester Liebs, Walker Evans, William Christenberry, and Thomas Strong. The Visual Resources Center hosted Ballesta and Fallet several times over the past few years as they completed research for the exhibit. 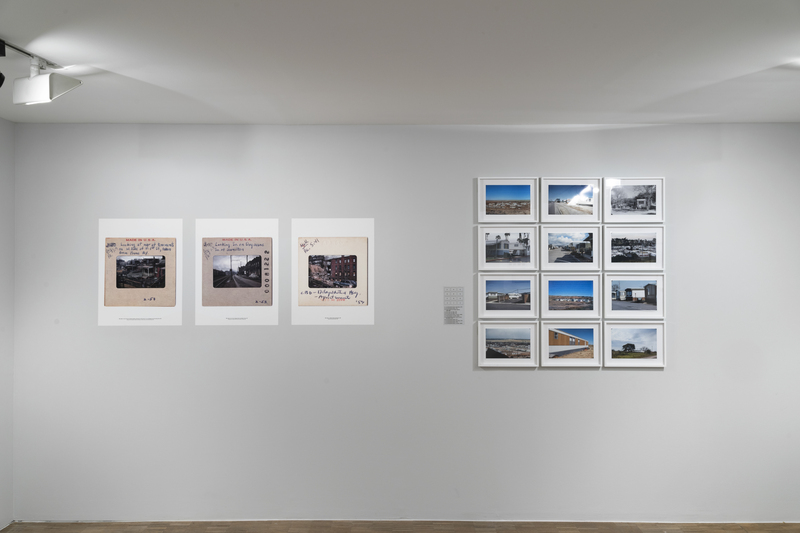 As VRC Librarian, I was honored to take part in helping them uncover evocative and enlightening photographs that have never been exhibited and in many cases have not been seen for many years.